Standardization is one of IEEE's largest and most prominent activities. Governed by the IEEE Standards Association, whose involvement in standards dates back to 1890, and was a founding member of the ANSI (American National Standards Institute) in 1918. IEEE's standards drive the functionality, capabilities and interoperability of a wide range of products and services that transform the way people live, work and communicate. With collaborative thought leaders in more than 160 countries, the IEEE-SA promotes innovation, enable the creation and expansion of international markets and help protect health and public safety. 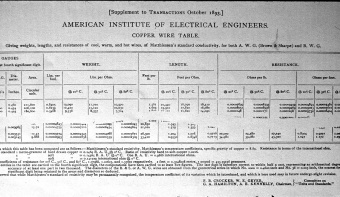 For a history of IEEE's standardization activity, see History of Institute of Electrical and Electronic Engineers (IEEE) Standards. This page was last edited on 29 July 2014, at 16:34.